← ​With an infrared rainbow, IBM optical chip outpaces copper wires. A terrifying few moments flying into the top of an active thunderstorm in a research aircraft has led to an unexpected discovery that could help explain the longstanding mystery of how lightning gets initiated inside a thunderstorm. University of New Hampshire physicist Joseph Dwyer and lightning science colleagues from the University of California at Santa Cruz and Florida Tech describe the turbulent encounter and discovery in a paper to be published in the Journal of Plasma Physics. In August 2009, Dwyer and colleagues were aboard a National Center for Atmospheric Research Gulfstream V when it inadvertently flew into the extremely violent thunderstorm—and, it turned out, through a large cloud of positrons, the antimatter opposite of electrons, that should not have been there. To encounter a cloud of positrons without other associated physical phenomena such as energetic gamma-ray emissions was completely unexpected, thoroughly perplexing and contrary to currently understood physics. “The fact that, apparently out of nowhere, the number of positrons around us suddenly increased by more than a factor of 10 and formed a cloud around the aircraft is very hard to understand. We really have no good explanation for it,” says Dwyer, a lightning expert and the UNH Peter T. Paul Chair in Space Sciences at the Institute for the Study of Earth, Oceans, and Space. 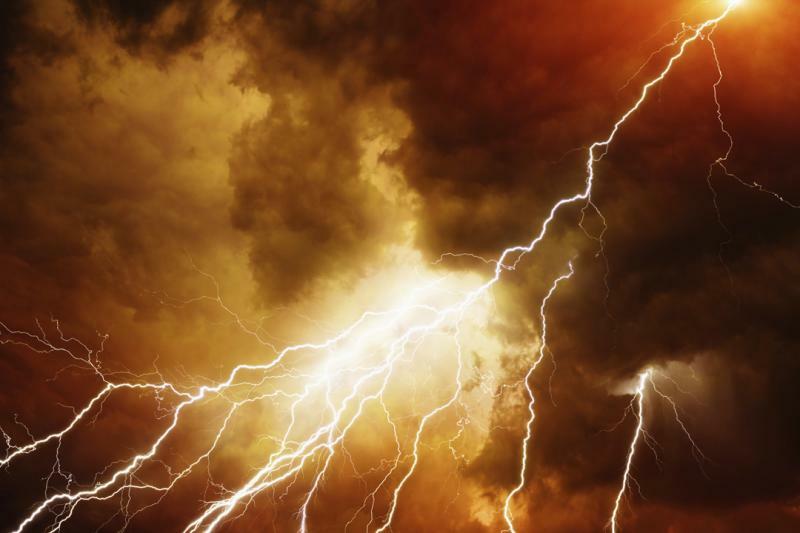 It is known that thunderstorms can sometimes make flashes of energetic gamma rays, which may produce pairs of electrons and positrons when they interact with air. But the appearance of positrons should then coincide with a large increase in the number of gamma rays. The physical world is filled with normal matter and antimatter. For every normal particle there’s an antiparticle, such as an electron and its associated anti-particle, called the positron, which, when brought together, annihilate each other in a flash of gamma rays. It is, Dwyer points out, the very same process that is supposed to power Star Trek’s Starship Enterprise. Having boldly gone where few people should, Dwyer says the experience inside the belly of the beast provides further insight into the bizarre and largely unknown world of thunderstorms—an alien world of gamma rays, high-energy particles accelerated to nearly the speed of light and strange clouds of antimatter positrons. One possible explanation for the sudden appearance of positrons is that the aircraft itself dramatically influenced the electrical environment of the thunderstorm but that, Dwyer says, would be very surprising. It’s also possible the researchers were detecting a kind of exotic electrical discharge inside the thunderstorm that involves positrons. Dark lightning is an exotic type of electrical discharge within thunderstorms and is an alternative to normal lightning. In dark lightning, high-energy particles are accelerated and produce positrons, which help discharge the electric field.